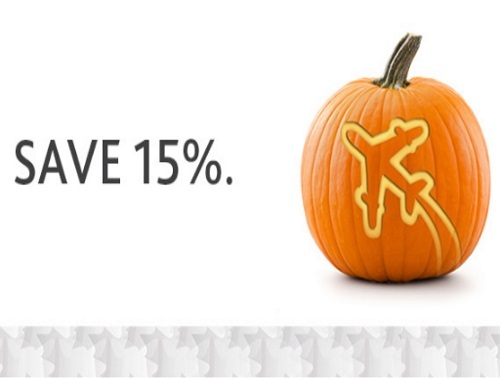 Air Canada is offering 15% off select flights today for Halloween! Book today, October 31, 2016, at 11:59 pm from your city of departure in Canada. Enter the promo code HALLOWEEN2016 at checkout to get the discount.